Need for Speed Payback focuses on a fast-paced Xbox One, PS4 and PC story of revenge! 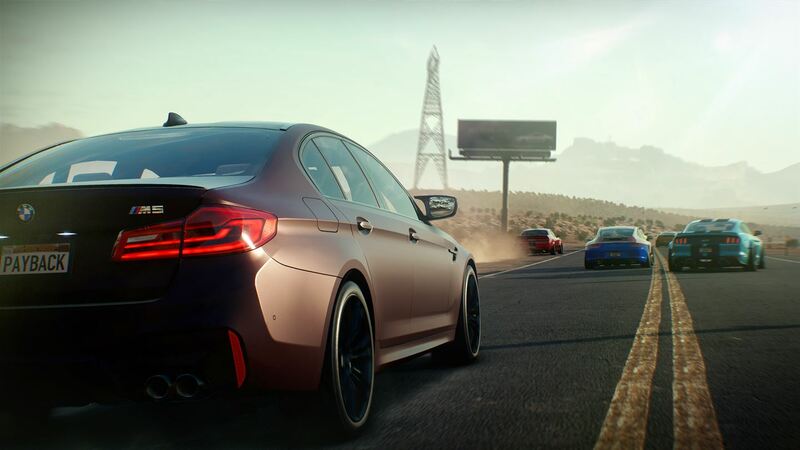 If you’re a fan of the recent reboot that was 2015’s Need for Speed, then you’ve probably had your attentions focused on the open-world sequel, Need for Speed Payback. Now the time is finally here to jump in – at least if you fancy getting involved in the Deluxe Edition. This time round players head out to the vast stretches of Fortune Valley, taking on the role of three playable characters – Tyler Morgan (The Racer), Mac (The Showman) and Jess (The Wheelman). Each brings their own set of skills and must work together to take down “The House”, a cartel who controls Fortune Valley’s underworld. Fast-paced, heavy-action sequences, a ton of customisation options and a large selection of vehicles to roam the open-world of Fortune Valley are all in place, and that means there is plenty to get stuck into for the adrenaline fuelled petrol heads out there. The vast customisation options available allow players to fine-tune their cars performance through each of the five distinct car classes (Race, Drift, Off-Road, Drag and Runner), allowing players plenty of scope when choosing the right ride for them. With the option to build your perfect car from the ground up, how will you build your perfect garage. Those interested in taking on “The House” in Need for Speed Payback can do so now on Xbox One, PlayStation 4 and PC with the £79.99 (£71.99 with EA Access) Deluxe Edition. Releasing a couple of days earlier than the Standard Version (£59.99/£53.99), the Deluxe Edition brings the pre-order bonus of the Platinum Car Pack, along with a ton of Deluxe Edition exclusive content bits and bobs. Expect to see a new license plate, leaderboard icon, Rep bonus and more. Should you not feel the need to take all that, then just hold tight until 10th Nov for the Standard Edition. Edit: 10th November 2017 is now here and the Standard Edition of Need For Speed Payback is also here. As is the Deluxe Edition Upgrade (£19.99) and a whole host of Speed Points packs ranging from the cheap (£1.99), to the crazy (£39.99). Go grab em! Will you be diving into the latest action fuelled adventure? Let us know in the comments below or via our usual social channels and don’t forget to check out our full hands on preview piece too.